The owner of this silver F10 528i sedan drove down from norcal / San Francisco to me in Orange County to have his window trim vinyl wrapped with my gloss black vinyl. 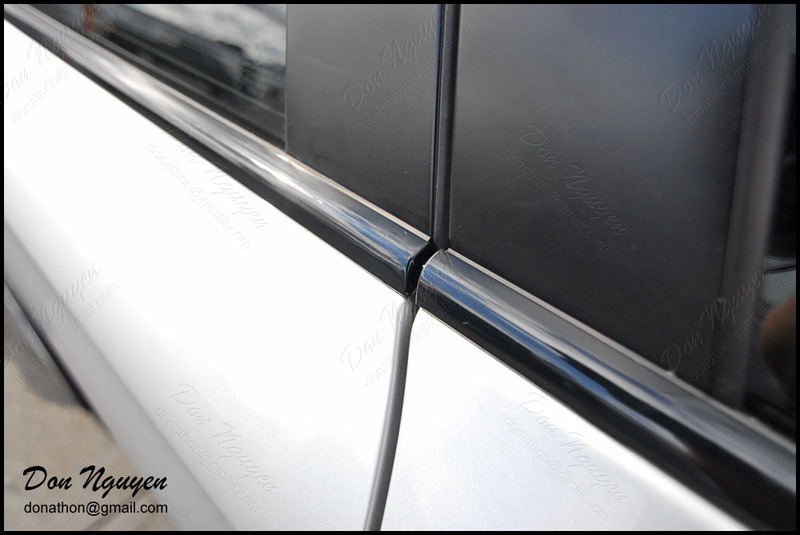 Similar to what the shadowline trim would have looked like from the BMW factory. I took more close up pictures around the edges, corners, etc this time to show you guys in more detail of how the finished product looks.